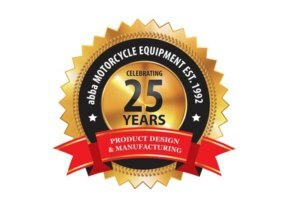 If you already own an abba Superbike Stand or abba Sky Lift and you have changed your motorcycle, you can simply order a new fitting kit so your Stand/Lift can be used with your new bike. It's possible your old fitting kit could be used on your new bike? Use our Fitting Kit Compatibility Tool to find out if you require a new fitting kit. Select your bike model from the drop down menu's above. Most common kits are £18.50, although some of the more complex kits can be more expensive. 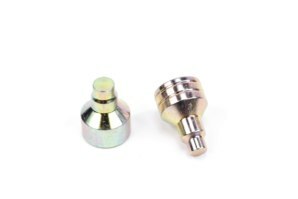 Note: If you are purchasing a new fitting kit for an abba Sky Lift OR you have the abba Front Lift Arm with your Superbike stand you might also need a boobin or Hub spindle which can be ordered from this page. We develop fittings year on year for the latest models, however if you do not see your model listed feel free to contact us via the "ask us" form above. Fittings are specific to each bike to ensure perfect fit and keep your pride and joy safe. Fitting kit range upgraded year on year for the latest models. Fittings available for more bikes than any other motorcycle stand or lift on the planet - FACT! Viewing records 1 to 5 of 6. Ordered the fitting kit on Thursday,arrived on Saturday,great product,great service,many thanks. Purchased stand few years ago simple & serious piece of kit simple to use, just obtained adapters to fit thundercat excellent response to my order & service second to none. Withgrest thanks to ABBA stands for their product. Ordered adapters & sleeve via website quite late in afternoon, arrived next morning's post.<br />Great service (again), thanks. I've just changed my bike and ordered a new fitting kit, what do I do now? 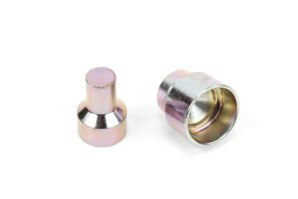 In most cases you will simply need to remove your existing "bike specific" fittings from the "standard fitting kit" on your stand and insert your new ones. I've just received my fitting kit and it does not fit in to my stand? It may be that you have lost one or both of the standard fittings from your stand. First check you have the standard fitting kit fitted to your stand and if you are still having problems please contact us for assistance. I've just changed my bike, how do I know if I need a new fitting kit or if its the same as my previous model? 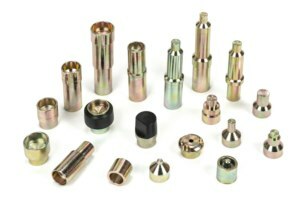 If your switching manufacturer you will almost certainly need a new fitting kit. You can use our Fitting Kit Compatibility Tool to find out what you require. Got a Question about the abba Fitting Kits? If you would like to ask us a question about the abba Fitting Kits, simply fill in the form below and we will contact you within two working days. Want to tell a friend about the abba Fitting Kits? 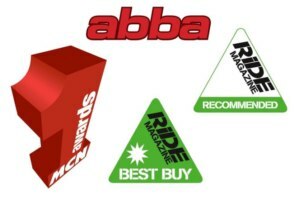 Alternatively fill in the form below and we will send an email on your behalf to your friend, with a link to this page all about the abba Fitting Kits.